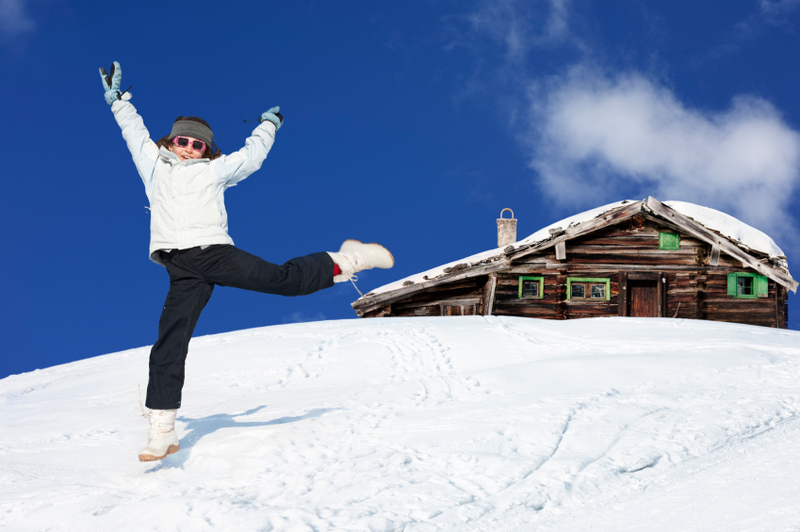 Are you looking for a home this winter? If so it could be a long wait to find that perfect one and you will need lots of patience. Historically after Thanksgiving inventory of homes on the market are down 15%. Last year it was down 25% on average nationwide. So far it seems that might be a pretty accurate percentage this year too. Home prices in the Snohomish County have also gone up. For example the Northwest Multiple Listing report for the year shows some pretty good numbers. 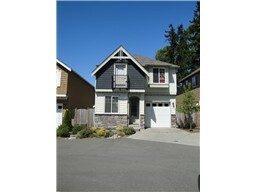 The Bothell/Kenmore/Kirkland/Woodinville area shows in 2011 Median Price was $372,990 and at the end of 2012 $400,000. 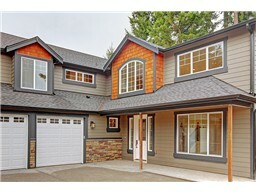 Lynnwood/Edmonds/Mill Creek/Mukilteo areas show 2011 Median Price $299,900 ending 2012 at $339,000. For the areas above only 620 total active listings at the end of 2012 versus 2011 with 1204. That is almost half. The majority, of course, were short sales and bank owned but it shows a definite change is happening and predicted to creep up more in the spring. This will help more distressed home-owners who are starting to recover from delinquencies and can finally start to consider refinancing giving them some relief. It’s an important start to a healthy Real Estate Market. Another sign of improvement is a lot of new home construction again. I occasionally work and sit in a new home plat that is priced in the high 4K range and another in the 200K range. Buyers are coming in and all saying the same thing: I have been looking for a while and there is not much out there. My advice? You need a good agent that will be right on top of your search and listen to you. Don’t wait! When they tell you there is a hot one you need to go see it ASAP. And don’t be surprised if there are multiple offers. If it’s in a good location, good conditions and the right price it will go fast. I have seen bidding wars this year bringing the asking price up $10,000-$25,000. NO JOKE! Buyers just can’t believe it when they offered 5K over asking price and they didn’t get it. Bottom line? Offer what you will not bang your head against the wall if you don’t get it. Like the saying says “put your best foot forward” FIRST. A few years ago you could play around a bit but, no longer, otherwise you will be putting in offer after offer and not get the house you want. Another mistake I see is many potential home-buyers thinking short sales are the best deal. NOT! To add to this further- 3 out of 4 fail. I know this first hand as I negotiated a short sale for a seller of mine and we had no problem getting offers; it was a great property. The problem was 3 buyers backed out before we got bank approval and we had to start over again. Causing major frustration for my sellers and me. You see each time I had to redo the paperwork, beg the bank to take another offer and start negotiating all over again. If you have your heart set on a home that is a short-sale you must commit yourself 100% to that home or do not waste your time. Why? Because on average you will wait 3-9 months. Another one of my clients, a buyer, bless her heart, was the most patient client I have ever had. We put an offer on a short sale in January of 2012. She finally closed on the home in October. The bank also came back with a higher price. They wanted 10K more than we offered. She had been waiting so long and loved the house so we went ahead and she finally got to move in before Halloween. If she had not been able to come up in price she would have had to walk because the banks final price is just that, their price. You either go for it or walk. These are questions and scenarios that buyers must be aware of as they enter the market. I know most potential buyers search all over the web for homes. Sites like Trulia, Zillow, Realtor.com and of course my new favorite; the new and improved Remax.com but, bottom line you are getting old information. It’s great to educate yourself, see what are out there, prices in certain neighborhoods, types of home, new construction and find yourself an agent (hint,hint). I can guarantee you however, if it’s a great home a Realtor is getting their client there first or it already has an offer. Consumer websites are not always up to date. There good don’t get me wrong and some better than others but, they can’t keep up with how fast homes go pending. I even have verbiage that I copy and paste to respond to consumers that contact me when the information is on a home that is not available. I always check on there request, of course, it just happens 9 out of 10 times the home they are asking about it not available any longer so I have a response ready. I wish it was not the case because I want to get you in and show you a home you want to see. Reality is however y re, take a need to get their first. Well take it in stride March is coming and with the first pop of bulbs the Spring buying season pops up too with more buyers and more competition on those great homes. A lot of potential sellers are still on the fence and are going to want to make sure they’re going to break even or be able to trade up. It will be an interesting year, in my opinion, to see how it changes. I hope that rates stay low which will bring the buyers and I hope that prices do come up a bit to bring more sellers into the market. We need to have more of an inventory which will bring stabilization of prices and more choices of homes for people. starts tomorrow and if that floats your boat head on down to Century-link & Lake Union from Jan 25th to February 3. Getting Married? Everett – Wedding Expo at Comcast Arena Everett. The Washington Sportsmen Show is happening at the Puyallup Fairgrounds- January 23-27th. Down South the 30th Annual Tacoma Home & Garden Show is happening through the weekend. And if none of those appeal to you here is something that might. Friday, January 26th is National Peanut Brittle day and the 28th is Bubble wrap appreciation day. So I guess that means wrap yourself up in bubble wrap and eat some peanut brittle! It makes me wonder who comes up with this stuff?? . Anyone that has tried to buy a condo knows that if you’re trying to purchase with FHA financing it may limit your choices and can cause great headaches with deals falling through and more frustration than you bargained for. Typically a condo purchase with FHA financing means the development must be FHA approved. There are numerous boxes a lender must select to make sure it is FHA compliant and if not? Either you work with your lender and the Home owner association, which could take months to get it approved or you move on to the next one. Additionally, other types of financing tend to go along with the same guidelines as FHA and if it does not meet FHA standards it may not meet theirs either. So what is a buyer and mostly first time home buyers to do? 1. The condo to commercial ratio is being relaxed. This means for mixed store/commercial with home units above there can be a mix of 50% commercial. Previously 25%. Great news in downtown Seattle! 2. Allowance is being made for investors to own ½ the units which is a huge jump up from 10%. 3. Change has been made to the rule on delinquent home owner association dues. Previously it could deny a loan if 15 percent were delinquent 30 days on HOA dues. The change now states 60 days. 4. 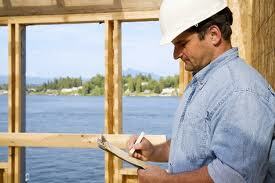 Condo board certification in regards to liability risks of the condo’s board. Since most boards are made up of home- owners who volunteer, they were reluctant to sign FHA paperwork that could have legal implications if they forgot to add something or checked the wrong box. Now there is some verbiage that FHA recognizes their efforts to verify information. Not sure that will suffice and make members feel relaxed but, at least they are moving in the right direction. Now I must add that these new rules will not pertain to most individual buyers and mostly will affect areas of resorts and urban developments but, it is very important because it opens the door for more changes in the future. There is talk of loosening the 50% FHA denial if ½ the units were already sold under FHA and they are looking at the owner –occupied guideline. As an agent I see so many complications with condo/townhomes and as the market is starting to turn more positive, especially here in Snohomish County, it is good to know one of the big players in financing is starting to maybe listen a little bit to move us in the right direction for home-ownership and recovery. Do you know how to prepare your home for sale? An agent can make educated suggestions based on past experience that will aid in a professional presentation of your home. 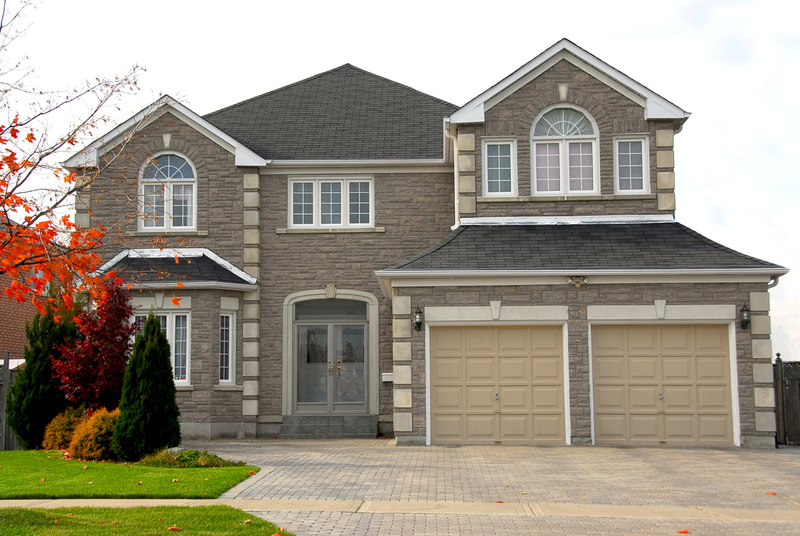 Are you knowledgeable in setting the right price for your home? An agent has specialized training and the ability to formulate a comparative market analysis to price your home competitively. A Realtor is aware of changing market conditions and will price your home accordingly with optimum value in mind. Do You Know The Most Effective Way To Advertise? Choosing and agent will gain exposure to a network of over 5,000 agents, many with prospective buyers in waiting. This is the most important reason to have an agent on your side who knows all the best marketing platforms to gain you the most exposure. In addition, advertising including signs and multimedia will be managed by your real estate professional and is included with your listing. Are you prepared to qualify a legitimate buyer? Or waste your time with lookey-loos. 1. Are they financially able to purchase your home? 2. Are they truly interested or on a sight-seeing tour? Do you have the ability to negotiate the sale? An agent has no emotional ties with the property and can handle objections on a more neutral basis. Fielding objections on price, terms, and amenities and handling them effectively is part of the training agents receive. You are emotionally vested in your home and that is normal. A prospective buyer is not and this can be the hardest part. Are you prepared to field all the calls and make time to set and keep all appointments? An agent will receive most of the calls and will schedule appointments accordingly. Unless you like knocks on your door out of the blue? Do you understand the steps that take place after an agreement has been reached? An agent will prepare a sales agreement that’s enforceable with forms that were written by lawyers. Why pay a lawyer separate to do the same thing? An agent understands closing costs and the process of title and escrow. We monitor the escrow process and follow the title exchange, recording and funding to transfer the home to the new buyer. Before choosing to sell your home on your own, please weigh these questions and answers. I take pride in my chosen career and my sellers and buyers are important to me. I make sure they are satisfied and always go the extra mile with solutions not promises. With my proven techniques, great team and the “easy exit listing” why would you do it on your own. So sit back and relax and leave the process to me! Last Chance To Buy Under 200K!!!! Get them while there still at Hot Prices! 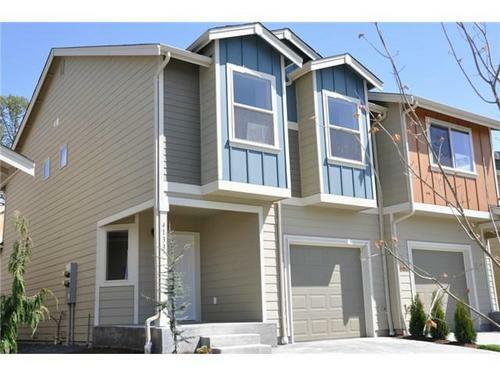 Finally affordable living in Snohomish County! Buy now as prices are going up! Last Chance in 2013 to buy under 200K. You actually get a yard and can be fenced! Solid Granite slab counters in Kitchen and Bath! Not an upgrade. Get a FREE LIST of available foreclosures. What would you do if your property were flooded? Are you prepared? Here in Washington we are lucky to have so many beautiful lakes and rivers surrounding us. With that beauty however comes a risk at times with rivers overflowing and threatening homes. Even if you feel you live in a community with a low risk of flooding, remember that anywhere it rains, it can flood. Just because you haven’t experienced a flood in the past, doesn’t mean you won’t in the future. Flood risk isn’t just based on history; it’s also based on a number of factors including rainfall , topography, flood-control measures, river-flow and tidal-surge data, and changes due to new construction and development. Right now its really cold with nice sunny days but we know how fast it changes here. Take a look at these tips and information to help your family prepare in case the worse happens. How Much Of A Home Do You Qualify For? You have saved a down payment, cleaned up your credit, have been looking on-line dreaming for months now and finally have found a great Realtor to help you. So now what? Go out looking at homes? Not so fast. You need to find out how much of a house you can buy? It does no good to look at $350K homes when you are more in the 250K range. If you start, believe me, it will be very had to settle in your mind on what you saw and what you can get. 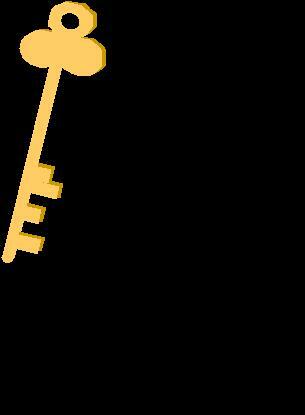 You need to meet with a lender and get the good news- “Yes you are pre-approved for a motgage of _____. Have you ever wondered how they come up with what they do and what formula is used? The chart below is a handy guideline to reference what your payment would be based on your income and how much home you can afford. Look how interest rates play into this. Its huge! For example, we bought our house in 1998 and paid a whopping 7.25%! Look at the difference today versus then. In other-words you can afford more house now. I bank with BECU and checked current rates today they are at 3.881% for a 30 year. In the 4rth quarter of 2012 rates were about 3.36%. There coming up! We know these great rates wont last forever so if your on the fence take a look at what your payment would be and see if it makes sense for you. For example here in Snohomish County rents are around the monthly payment for a $300K single family home. Crazy huh? If you decide now is the time contact me and lets get started ! OPEN HOUSES! Dont Miss These Ones! 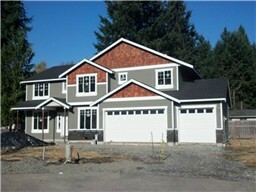 Bordering Mill Creek/Bothell and South Everett you will find 5 new homes tucked back on a culdesac. These are not any ordinary homes but absolutely extrodinary with builders touches and quality that you do not see everyday. Come and see me Friday 1/11 and Saturday 1/12 from 1-3 p.m. You will fall in love! Huge lots in Silver Lk~GREAT location! Private, dead-end street and lot will be mostly fenced. Features 4 bdrms, 2.75 bath, HUGE master bedroom (16×24!!) includes 5-pc master bath! Office/den downstairs *WITH CLOSET* so can be used as possible 5th bedroom! !, formal dining, rec room w/ fireplace AND living room. You’ll appreciate this builder’s attention to detail and design. Welcome to 2013! Do you know its expected to be a double digit year in remodeling? Since the Seattle Remodeling Expo is going on right now and through the weekend what better time to give an idea on how much those new windows or kitchen remodel would be. If a project is in your horizon this year, whether large or small, take your time and compare. Its amazing the cost difference and quality so pay yourself back a bit and do your homework. But most of all have fun! These are average costs of typical projects and could be more or less depending on materials, labor costs or if your doing it yourself. For example, we added on our home a family room addition. The below states typical cost at about $101K. We added 940 sq. 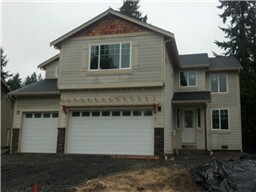 ft on our split level home for a family room and additional down stairs bedroom. Our cost 75K but, I have a handy husband who did most all of the labor except for foundation, framing and electrical. Still a chunk of money and the time spent was enormous. Many late nights after work and weekends to complete. So when you do factor in costs dont forget to consider your time. Oh, and the possible arguments with your spouse in Lowes (yes, I do know first hand). Most of all from me to you~~ Good Luck!